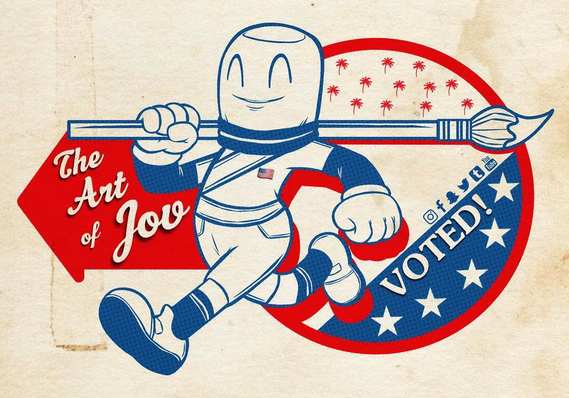 One of our favorite customers is Los Angeles freelance artist Jov. He's had a busy 2016 with bookings & online sales. "The Art of Jov" has garnered an online & in-person following using his Instagram as a digital portfolio for the world to see. Do you remember the first time you created art as a kid? When was it? Besides at school... I remember when I first saw a sketchbook. I was 6 or 7 years old. It was my Uncle's sketchbook and when he would leave the house, I'd sneak in his room and check out his work. He would tag, come up with characters and from then on... I was mind blown. I would constantly check out that sketchbook and even trace whatever he drew. I would even draw really light like him, so you won't see any previous lines after erasing. I would also use any pocket change my parents would give me and buy Bazooka Joe gum. Rip them open, throw away the gum, read the mini comics that came in them and copy each panel. I have a few that when I look back... I tell myself, "I can't believe I did that." To name a few, it would be: Link from The Legend of Zelda: A Link To The Past, Voltron and any piece that I used just INK. Those are special because finishing it without any smears is an achievement in my book. LEO'S TACOS in Eagle Rock! It's a taco truck that posts up Tuesday - Sunday. I've been going there since 2000. Even my daughter and dog dig it. 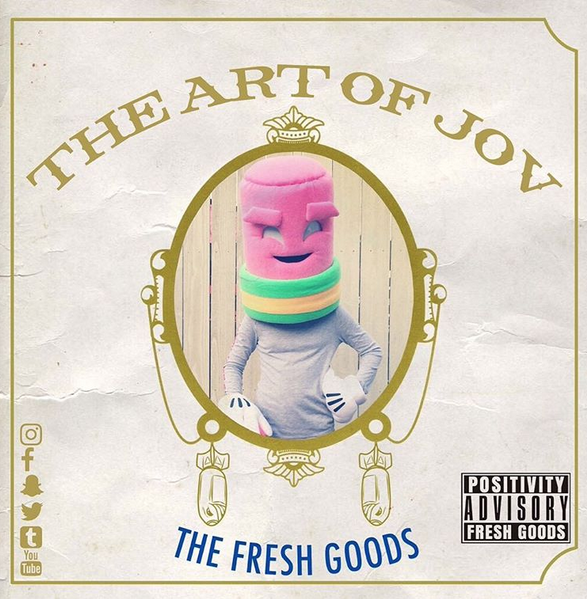 Favorite spot to have fun or relax in Los Angeles? Nothing beats home. I'm a homebody. Movie or music playing in the background while drawing or hanging out with my daughter and dog. But outside of home? I'd say you'd find me at a bookstore (Skylight Books), Wacko, Little Tokyo in L.A., Amoeba Music, Comic Book shops: Secret Headquarters or House of Secrets and at the movies; preferably where you can choose your seats. A lot of memorable moments happened in 2016... but to choose one and to sum it all up... my event bookings doubled! Which means more business and each of them were successful. I am truly blessed and grateful. To be in more conventions selling my artwork. Starting 2017 with my first convention at Silicon Valley Con. I'm super stoked about that. 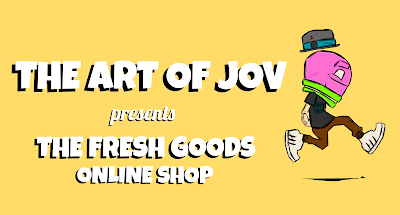 Click here to visit Jov's online shop!